Further details regarding the KL Mass Rapid Transit system, specifically Line 2, will be exhibited to the general public starting from tomorrow (May 15). Information on said line, also referred to as the Sungai Buloh-Serdang-Putrajaya Line (SSP), will go on display at the offices of the Land Public Transport Commission (SPAD) and MRT Corp.
Additional locations include the Kuala Lumpur City Hall (DBKL), Selayang Municipal Council (MPS) and Petaling Jaya City Council (MBPJ) along with 23 roadshows, due to be held at malls within the vicinity of the alignment. Amiruddin Maaris, project director for the SSP Line, told Bernama that the full list of locations will be published in major dailies. The display is slated to run till August 17 this year as required per the Land Public Transport Act 2010. Furthermore, the information displayed is meant to educate the public and gauge responses from feedback provided. Said comments will then be submitted to SPAD pending a final decision regarding the project. 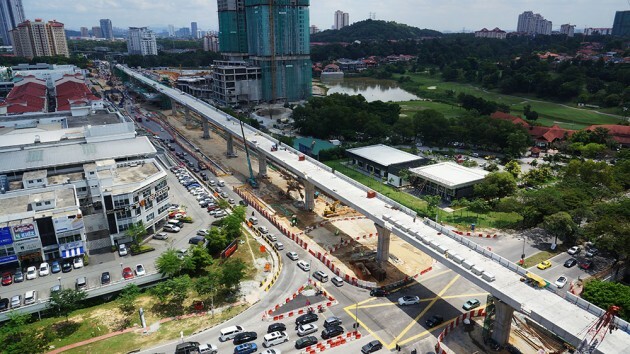 The second phase of the KL MRT project is expected to begin construction in June 2016. The 52.2 km-long line is expected to be completed by July 2022. A total of 36 stations has been mooted with the entire journey, which ends at Putrajaya Sentral, slated to take up to 84 minutes. 3 months public display, sounds about right. Hope construction can start quickly. MRT1’s underground section is completed, so those TBMs are ready for MRT2’s tunnel construction. Incoming mass protests, demos, huha in the news, Not in My Own Backyard mentality, then re-alignment to god-knows where, then complains of jam even when the complainers do not pass there, then once finish – complains on lousy connectivity, hidden conspiracy and lastly songlap. This is what Malaysia has become thanks to the “rakyat”. All hail people power! I’m eager for the project to start – the alignment would bring public transport right to my neighbourhood. No more driving on jammed roads within a couple of years! I think all these construction of MRT is just a waste of public money. They only make the cronies’ pockets thicker. Why don’t just make cars cheap. Even motorcycle owners can upgrade. This is more fair to everyone. if this is true, u’d expect another jakarta in kuala lumpur. Cheaper cars instead of more public transportation? I think it should be both but if i were to choose one i rather they construct more public transportation system . Imagine if all those motorcycle owner upgrades … with our current inefficient public transportation system ? Good luck driving during peak hours .